For additional info on camera settings, refer to the Camera and video section of the user guide. If not available, swipe up or down from the center of a Home screen then tap Camera. 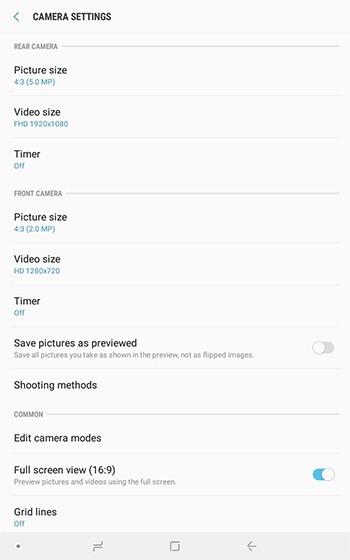 For general camera settings, tap the Camera Settings icon (lower-left). Create a linear image by taking pictures in either a horizontal or vertical direction. Manually adjust the ISO sensitivity, exposure value, white balance, and color tone while taking pictures. Automatically airbrush out minor imperfections when you take pictures of people. 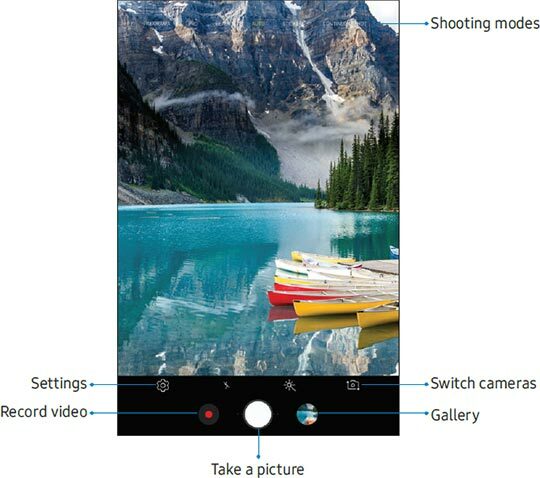 Allow the camera to determine the ideal mode for the picture. Add stickers to your pictures. Touch and hold the Camera button icon to continuously take pictures. Tap the Record button to start recording video. Tap the Stop button to stop recording.